Welcome to the first day of Chocolate and Fruit Theme Week. 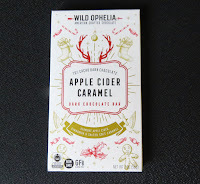 Today's Wild Ophelia Apple Cider Caramel Dark Chocolate Bar was from Vosges IP LLC (Chicago, IL). 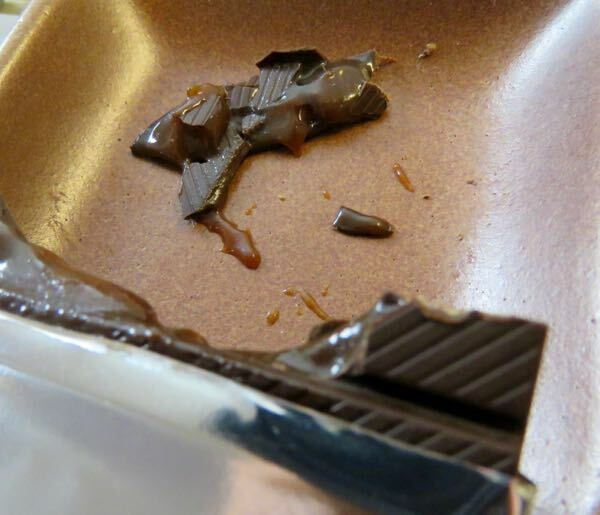 This 70% dark bar had a sweet, slightly tangy, aroma with a buttery spice cake note. It may be difficult to share this slim bar. If you break off a piece, the gooey, sweet, slightly tangy, apple cider caramel will get on your hands. Caramel can be too sweet. But, this thin layer of flavorful, flowing amber—accented with a touch of cinnamon—was well balanced by the surrounding dark chocolate. And, speaking of chocolate, it seemed this bar was made with a slightly higher quality chocolate than usual Wild Ophelia bars. It could have been my imagination; or it could have been the higher percentage of cacao talking. 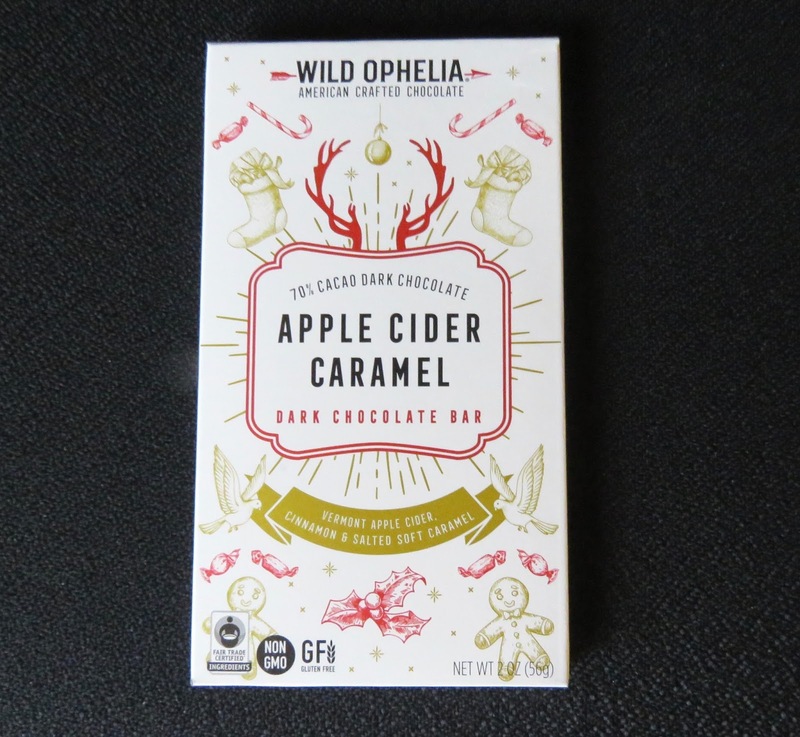 The bar's balanced, spiced apple cider concentrate used to flavor the caramel filling and the dark chocolate contributed harmonized well and creative a pleasant finish.